USB RS232 adaptor for controlling speed dome cameras from PC's that have no COM port. USB/RS232 adaptor for controlling high speed dome cameras from PC that do not have COM ports. These PTZ keyboards are designed to control PTZ cameras from remote. All our motorized PTZ cameras, both based on IP and AHD/CVBS technology, can be controlled via DVR very efficiently. 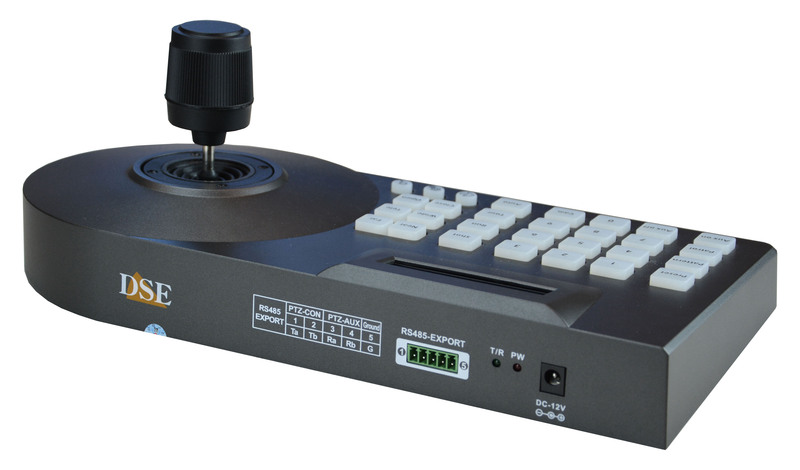 Joystick control is anyway a convenient, accurate and room-saving tool for moving the cameras. It can be the best choice in many application. This PTZ controller is suitable to all DSE IP network cameras. It works also with any other brand of IP cameras supporting the ONVIF standard protocol. This controller connects to the network via RJ45 port, like any IP camera. It comes with an auto-search feature, so it is able to detect automatically all the onvif IP cameras available on the network. To start controlling a PTZ camera you just have to choose the IP address and use the joystick. 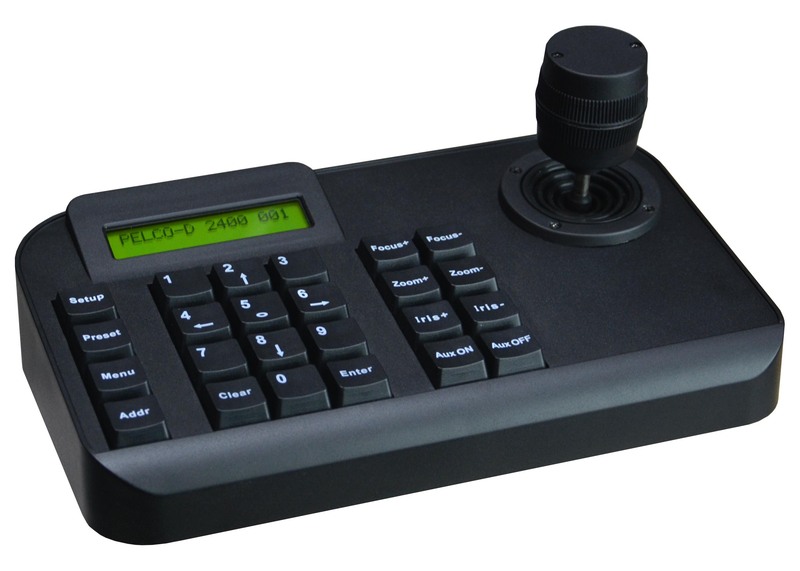 SD-CON3IP joystick is a 3D control unit. It moves the camera Pan/Tilt as well as the lens zoom by twisting the joystick head. Other functions, like preset call, can be managed by push-buttons. SD-CON3IP is not only a control unit. It can monitor live video as well. 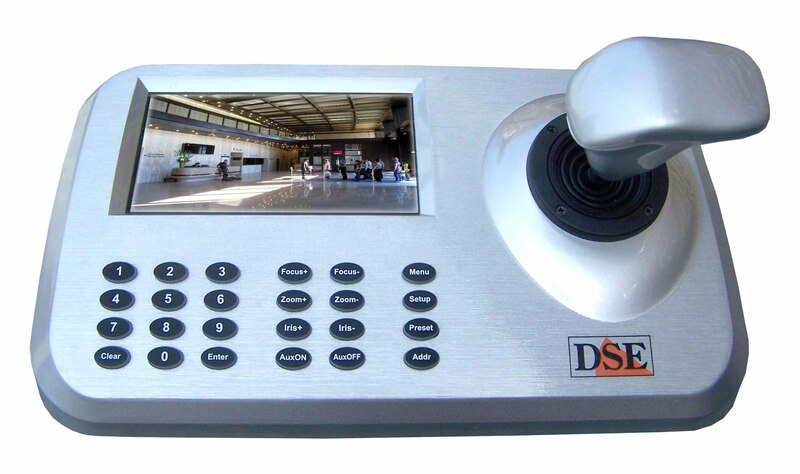 This controller includes a high quality, 5.5 inches, LCD monitor which display the live video from the selected camera. This unit is therefore ideal as a stand-alone monitoring point, with no need of further monitor, NVR or PC. Being a small-size, stand alone, IP surveillance station for PTZ cameras, SD-CON3IP is the best choice in industrial CCTV, to give the operator a neat way to control and monitor the production process. It is also great in the hand of a guardian that can watch and control his camera without having access to the whole CCTV system. Right to suit this application, SD-CON3IP come with access password protection inhibiting unauthorized settings. SD-CON3IP needs 12VDC power (adaptor included) and includes a 1080P HDMI output to connect an auxiliary external monitor. This PTZ controller is suitable to all DSE cameras which supports RS485 serial bus control. RS485 bus is used in all our AHD, analog CVBS and HD-SDI PTZ cameras. It works also with any other brand of such cameras supporting the PELCO P/D universal standard protocol. 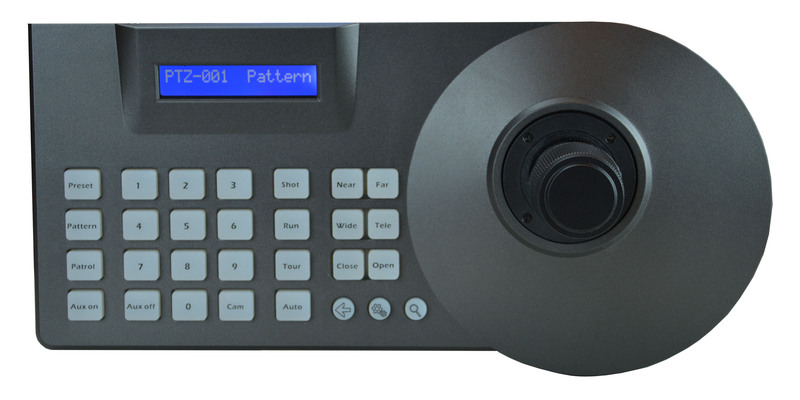 SD-CON3D is a multiprotocol keyboard which support different protocol for each camera. The aluminum casing make it durable and wear resistant. This keyboard connects to the cameras via twisted pair (RS485) and must be powered at 12VDC with the adaptor included. A convenient, backlit, display provide information on the command status. One SD-CON3D is able to control several PTZ cameras since each of them must have a unique ID on the bus (1-256). To start controlling a PTZ camera you just have to choose the ID and use the joystick. SD-CON3D joystick is a 3D control unit. It moves the camera Pan/Tilt as well as the lens zoom by twisting the joystick head. 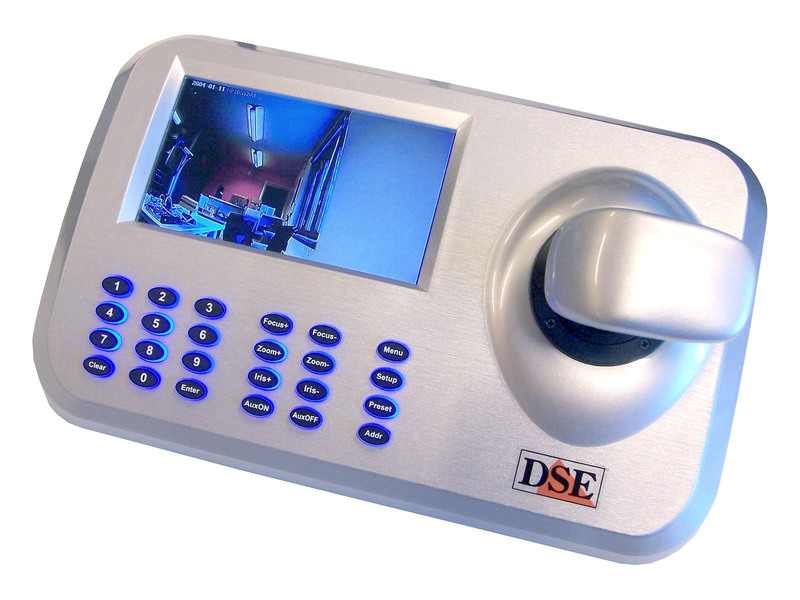 DSE high speed dome cameras can also be controlled from a PC using appropriate software packages. It is necessary to make a conversion in order to connect the PC to the cameras, as the serial port of a PC is normally RS232, while the standard used by DSE high speed dome cameras is RS485. Adaptor SD-232485 connects to the COM port (RS232) of the PC and has a terminal board to connect to the twisted pair cable used for the cascade connection of all the cameras. Many desktop PC's and most laptops are supplied without RS232 serial PORT. A serial port is essential to control speed dome cameras from a PC using a DVR software like D-Vision. This interface convert any USB port of your PC into a RS232 COM port that can be connected to the RS232485 converter to control speed dome cameras.